From movies to video games, computer-rendered images are pervasive today. Physically Based Rendering introduces the concepts and theory of photorealistic rendering hand in hand with the source code for a sophisticated renderer. 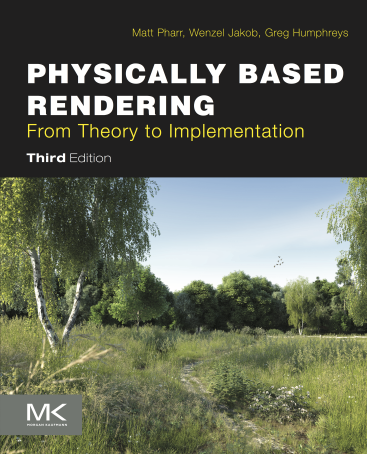 October 15, 2018: The full text of the third edition of Physically Based Rendering is now available for free in an online edition. March 5, 2017: We have implemented a texture cache for pbrt that scales very well up to tens of rendering threads; see the writeup of its implementation for all the details. October 16, 2016: We have posted a supplemental section on the implementation of a hair scattering model. December 5, 2016: The printed book is now shipping! Available from Amazon and other fine booksellers. October 15, 2016: The Kindle version of the third edition is now available from Amazon, and a DRM-free PDF can be purchased from Elsevier. The physical book will be shipping in mid-to-late November. June 15, 2015: A first drop of source code for the system, as described in the third edition of the book, has been pushed to github. Physically based rendering has transformed computer graphics lighting by more accurately simulating materials and lights, allowing digital artists to focus on cinematography rather than the intricacies of rendering. First published in 2004, Physically Based Rendering is both a textbook and a complete source-code implementation that has provided a widely adopted practical roadmap for most physically based shading and lighting systems used in film production. Physically Based Rendering, Third Edition describes both the mathematical theory behind a modern photorealistic rendering system as well as its practical implementation. A method known as “literate programming” combines human-readable documentation and source code into a single reference that is specifically designed to aid comprehension. Through the ideas and software in this book, you will learn to design and employ a full-featured rendering system for creating stunning imagery. This new edition greatly refines its best-selling predecessor by adding sections on bidirectional light transport; stochastic progressive photon mapping; a significantly-improved subsurface scattering implementation; numerical robustness issues in ray-object intersection; microfacet reflection models; realistic camera models; and much more. These updates reflect the current state-of-the-art technology, and along with the lucid pairing of text and code, ensure the book's leading position as a reference text for those working in rendering. For a preview, you can download both Chapter 7, Sampling and Reconstruction, from the first edition of the book as well as Chapter 4, Primitives and Intersection Acceleration from the second edition. 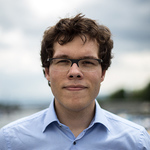 Matt Pharr is a Software Engineer at Google. 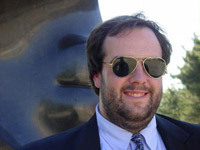 He previously co-founded Neoptica, which worked on programming models for graphics on heterogeneous CPU+GPU systems; Neoptica was acquired by Intel. Before Neoptica, Matt was in the Software Architecture group at NVIDIA, co-founded Exluna, and worked in Pixar's Rendering R+D group. He received his Ph.D. from the Stanford Graphics Lab, working under the supervision of Pat Hanrahan. He was also the editor of GPU Gems 2. Wenzel Jakob is an assistant professor at EPFL's School of Computer and Communication Sciences. His research interests revolve around material appearance modeling, rendering algorithms, and the high-dimensional geometry of light paths. Wenzel obtained his Ph.D. at Cornell University under the supervision of Steve Marschner, after which he joined ETH Zürich for postdoctoral studies under the supervision of Olga Sorkine Hornung. 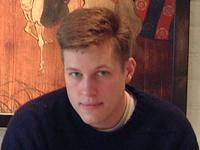 Wenzel is also the lead developer of the Mitsuba renderer, a research-oriented rendering system. Greg Humphreys is Director of Engineering at FanDuel, having previously worked on the Chrome graphics team at Google and the OptiX GPU raytracing engine at NVIDIA. Before that, he was a professor of Computer Science at the University of Virginia, where he conducted research in both high performance and physically based computer graphics, as well as computer architecture and visualization. Greg has a B.S.E. degree from Princeton, and a Ph.D. in Computer Science from Stanford under the supervision of Pat Hanrahan. When he's not tracing rays, Greg can usually be found playing tournament bridge. You may contact the authors at authors@pbrt.org. Copyright© 2004-2018 Matt Pharr, Wenzel Jakob, and Greg Humphreys. All rights reserved.